The professional world is fast-paced and adaptable. At SVSU, we know that mastering communication is key in entering the world as a respected and competent professional. When it comes to professional and technical writing, the scope of what you can accomplish stretches far. Bring your precision and creativity to the board room, a recruitment initiative or a manual highlighting corporate policies or growth projections. As a Cardinal, you can feel confident in the focused attention you will receive from faculty, and the real-world experience you will gain to apply to a career once you graduate. We are Cardinals, and we support your aspirations and endeavors. Your story starts when you apply. Kylie Wojciechowski is a gifted writer and served as a leader on campus. From her work as a Honors scholar to her service as a writing tutor and an executive board member for TedXSVSU, Kylie was an advocate for users and adapting rhetorical tools to serve final consumers, readers, etc. SVSU was the ideal context for Kylie to find her voice and her place as a campus leader and valued member of her college community. SVSU’s professional & technical writing major focuses on developing critical thinking, applying theoretical communication concepts and developing your skills in communicating with a range of audiences. Your courses will relate to four core areas of knowledge: writing, design thinking, communication tools and theory. The learning you receive in the classroom will extend beyond it as you apply key concepts to field work and internships. 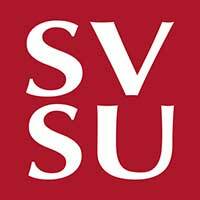 Professional and technical writing students are strongly encouraged to join the Association of Professional & Technical Writers at SVSU. APTW hosts an annual conference on themes related to communication and leveraging words and images effectively in the professional world. In addition, many of our students serve on conference leadership teams (such as TedX) and in the SVSU Writing Center, bringing their skills with content development and strategy to serve the campus community as a whole. Jobs for Technical Writers are "projected to grow 15% from 2012 to 2022, faster than the average growth rate for all professions" (Bureau of Labor Statistics).